For our encoding challenge, our group decided to look at House of Leaves by Mark Z. Danielewski. The book looks simple, until you start looking at the composition, layout, and structure of the narratives in this book. It is an example of ergodic literature, where narratives are driven by user interaction. The novel involves several character threads that transcend time. I have not read the book but the layout alone is something to look forward to reading in the future. There were many interesting pages to choose from in this book. 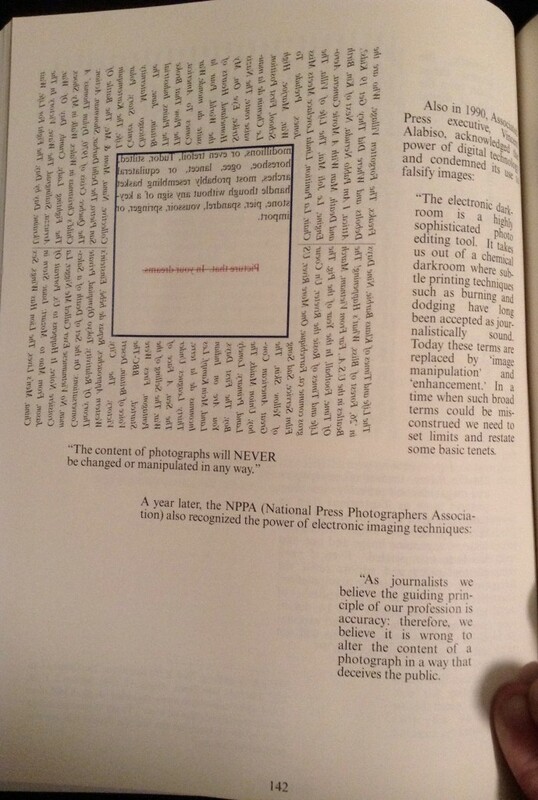 The spacing, columned text, and even mirror images were interesting. One set of pages that piqued my curiosity contained text that was presented vertically on the page with boxes of text embedded within it. 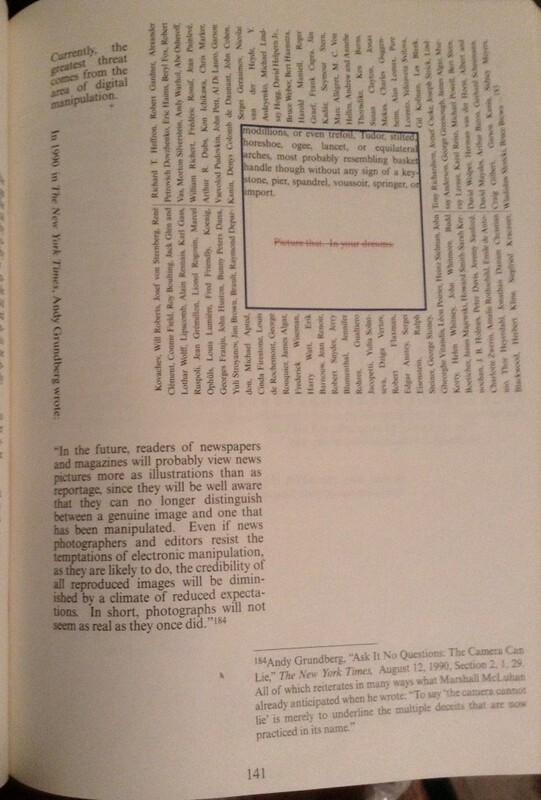 On the reverse page, this same text was placed vertically and as a mirror image of the text on the previous page. The complexity of the page was beyond my skill level to represent using XML. It would be fascinating to see how a page like that would be represented digitally, or even through a web browser. Consequently, that brought up issues of digitization and the materiality of the book, House of Leaves. It would be easier with the physical copy to hold a mirror up to the page verso and compare the mirrored text, or even fold the pages. How would something like that be presented digitally and what would that look like? These were some of the thoughts running through my head as I looked at the pages. Ultimately, we chose a simple page with three narrative structures for our encoding project. It will be challenging and interesting to see how we end up representing these structures for the assignment. As an aside, the author’s sister is the musician Poe. Her second album Haunted is a counterpart to the book, House of Leaves. The album follows the same narrative structure as that of the book and tells the story of the characters (Wikipedia,2016). Wikipedia contributors, “Haunted (Poe album),” Wikipedia, The Free Encyclopedia, https://en.wikipedia.org/w/index.php?title=Haunted_(Poe_album)&oldid=697886072 (accessed February 11, 2016).